The station is powered by a Davis Vantage Vue weather station. Weather data are collected every 2.5 seconds and the site is updated every 5 seconds using Cumulus Software. 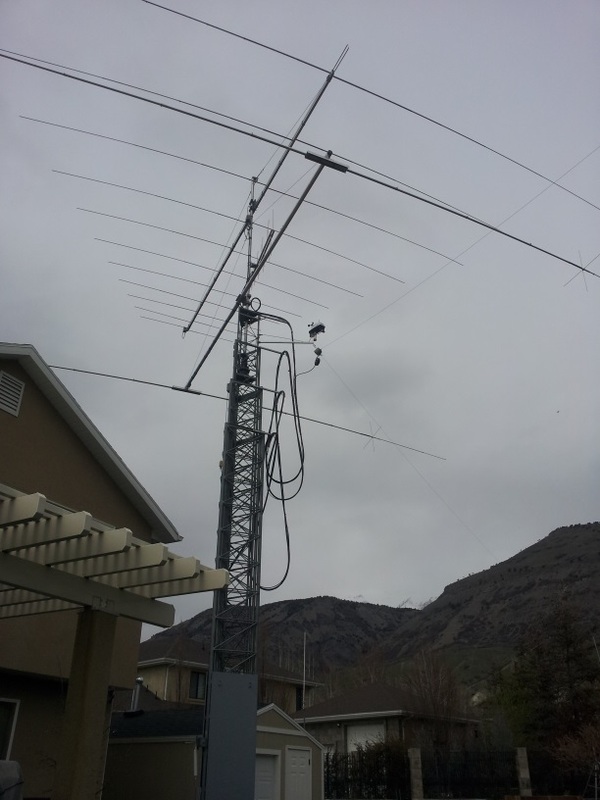 Station instrumentation is comprised of an anemometer, a rain gauge and a thermo-hydro sensor placed atop the N7BAN amateur radio station tower using a KF7P Metalwerks standoff arm. The height of the tower (and therefore the instrumentation) varies. When the radio is not in use the tower sits at about 30 feet in height but may be extended to as high as 80 feet during radio operation. The primary purpose of the weather station is to monitor wind speeds for tower safety. Lindon City was incorporated in 1924. It covers approximately 8.56 square miles and has a population of just over 10,000 residents. Lindon is sandwiched between the larger communities of Orem and Pleasant Grove. This website is hosted on Apache running on a CentOS Linux server. The server is a guest operating system on a VMWare ESXi 6 system running at the N7BAN residence in Lindon. The Internet connection is a gigabit (up and down) fiber-to-the-home connection powered by UTOPIA and serviced by XMission.